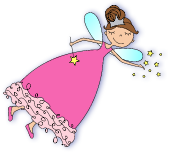 All the little bluebirds love this sweet and beautiful Princess! We personalize our Tooth Fairy Pillows by hand with a permanent fabric paint pen in black to make the name “pop” out, the starts (for boys) or hearts (for girls) are added in a coordinating color. 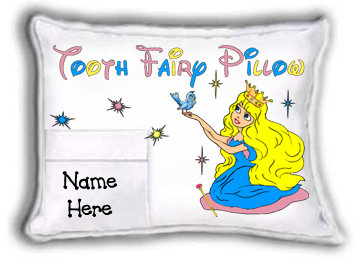 Our Personalized Tooth Fairy Pillows are made from high quality 50/50 poly-cotton fabric made right here in the U.S.A. They measure 6″x 8″ and are richly trimmed with 1/4″ piping, which gives them their “finished” look.